Gerry Rafferty died yesterday. Somewhere someone will say something like this- “Well, they don’t write songs like ‘Baker Street’ anymore....” and whoever says that will be dead f-ing on. 60 second sax solos seldom start songs off these days. Gerry Rafferty also wrote “Stuck In The Middle With You” when he was in Stealer’s Wheel, and "Right Down The Line" which was also really, really, 70's. Good night huge 70’s guy. 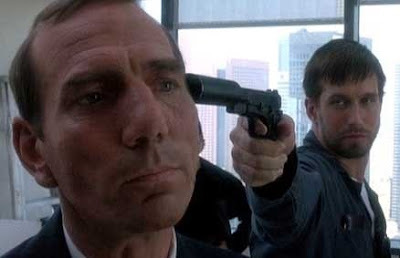 Let’s hope the late, great Pete Postlethwaite pulled a “Kobayahsi” on the reaper and made good on the threat to off his lawyer/ girlfriend if he was killed. Good night to you, star of “In the Name of The Father” and possessor of an Adam’s Apple rivaled only by that of Ann Coulter, Pete Postlethwaite RIP.